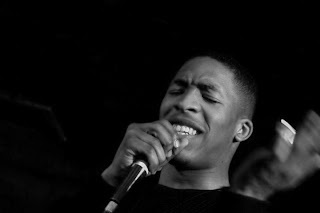 Bands & Books: One to Watch: James Massiah to perform at Bands & Books launch party. One to Watch: James Massiah to perform at Bands & Books launch party. "At the moment I'm having a Gil Scott Heron renaissance and I'm also very much into David Bowie and Talking Heads right now. I'm also playing a lot of your Dizzee Rascal's, Wiley's & D Double E types too... Warpaint have also completely stolen my heart! I'm also quite the Ginsberg fan - my favourite poem of his being "The Complaint of the Skeleton to Time"